“This isn’t just a rural problem,” Cowsert said. It affects Oconee County as well as less well developed areas of the state, he said. Oconee County Board of Commissioners Chairman John Daniell and Oconee County School Superintendent Jason Branch agreed. Branch said he knew of examples of students going to fast food restaurants or other commercial outlets in the county with public Internet access to be able to do their homework. 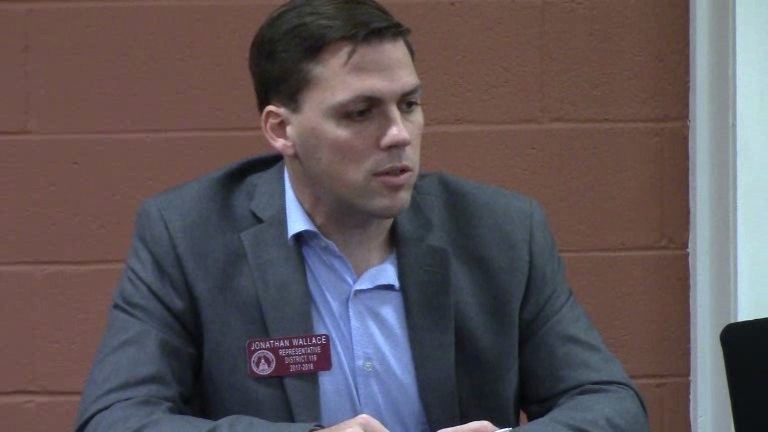 The session, held on Dec. 22 at the Oconee County Chamber of Commerce in Watkinsville, was organized by BOC Chair Daniell to give local officials a chance to hear from and offer suggestions to the county’s three legislators. Cowsert, Deborah Gonzalez from House District 117 and Jonathan Wallace from House District 119 joined all five members of the Board of Commissioners as well as Board of Education Chair Tom Odom and BOE member Kim Argo in the hour-long session. 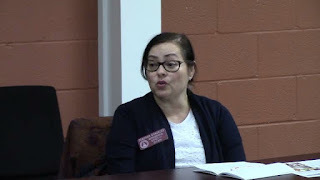 The meeting is an annual event, but it was different this year because Gonzalez and Wallace, who were chosen in special elections in November, participated in their first session of the General Assembly only on Jan. 8. Both Gonzalez and Wallace are Democrats, while Cowsert is a Republican. 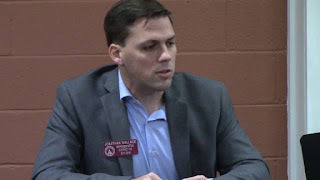 Last year, Cowsert was joined in the legislative preview session by fellow Republicans Regina Quick from the 117th House District and Chuck William from the 119th House District. Quick and Williams resigned late last year, setting up the special elections. Gonzalez and Wallace made no mention of their party labels, and Cowsert, who is Majority Leader of the Senate, mentioned his party only in passing. Cowsert did most of the speaking, reflecting his inside knowledge of the Senate based on his experience and leadership role. Both Gonzalez and Wallace stressed that they were at the session to make sure that the local leaders knew to communicate with them about the needs of the local communities. “Our goal and our priority is to make sure we’re doing what this district needs to be done at the state level,” Gonzalez said. Oconee County falls entirely within Senate District 46, which also includes parts of Clarke County and Walton County. Cowsert, an attorney, lives in Athens-Clarke County. Three of Oconee County’s 13 precincts–Athens Academy, Malcom Bridge and Bogart–are in the 117th House District, which also includes parts of Barrow, Clarke and Jackson counties. Gonzalez lives in Athens-Clarke County and is an attorney. House District 119 consists of the remaining 10 precincts of Oconee County as well as parts of Clarke County. Wallace is a software developer and entrepreneur who lives in Oconee County. Cowsert said he expects the Senate to try to find a way to incentivize the construction of high speed Internet throughout the state, but he recognized the difficulty of doing that when the service providers are private companies. “We’ll have some initiatives this year to try to make certain everybody in Georgia has access to high quality healthcare,” Cowsert said. Gonzalez said she had been assigned to three committees: Code Revision, Intragovernmental Coordination, and Judiciary Non-Civil. Wallace said he had been assigned to Budget and Fiscal Affairs Oversight, Energy, Utilities & Telecommunications, and Special Rules. Cowsert is on a long list of Senate Committees: Administrative Affairs, Appropriations, Assignments, Finance, Health and Human Services, Judiciary, Regulated Industries and Utilities, Rules and Transportation. Despite sitting on the Transportation Committee, Cowsert said he would have little impact on decisions regarding the widening of U.S. 441 in the county. Cowsert said, as far as he knows, no decision has been made regarding a bypass of Bishop. Sarah Bell was one of seven citizens who attended the legislative session on Dec. 22. Bell made the video recording of the session that is below. Cowsert began speaking at the very beginning of the session. Wallace started his comments at 13:20. Gonzalez began speaking at 14:18. Wallace spoke again briefly at 19:15. 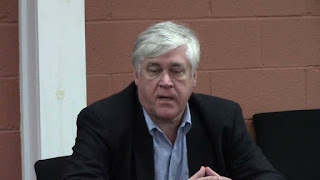 OCO: Legislative Session 12 22 17 from Lee Becker on Vimeo. It is sinful that politicians are still allowing the internet utility companies get away to picking only the low hanging fruit, easy money high density locations with leaving the rural families in this county and state without any options for high speed internet. Internet in today's economy is more important than school books and libraries. Politicians get off you butts and stop saying you cannot do anything because they are private businesses! They install their utilities in our right of ways with your blessings... Hold them accountable!!! The rural citizens of this county and state are watching you!!! Good comments, anonymous. Health care also a serious issue in most rural counties, especially in south GA where I have relatives. Encourage municipal or county provided internet service then. Take the profit margin out of the equation. An issue all candidates made mention of in the last Special Election. So healthcare payment schemes and access to internet services are "rights" enough to force private companies to provide for outliers. Within the article is that Big Brother forcing the private sector to lose money is a bit sticky in a free-market, capitalist republic. Uh oh, that dirty word "capitalist" strikes again! Let's call Big Brother in.